Enjoy this private limoncello workshop on the island of Capri, where you will make your own limoncello under the guidance of an expert. 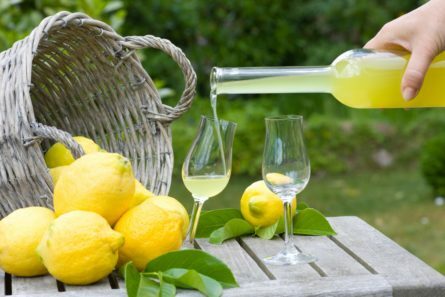 If you are looking for a one of a kind Italian experience that goes above and beyond the average tourist activity, we invite you to partake in a hands-on Limoncello workshop and demonstration in the center of lovely Anacapri. In this unique workshop you will have the chance to learn the making of a world famous Italian lemon liquor. All it takes is lemons, sugar and alcohol, and some special techniques, to create Capri’s favorite way to finish a meal. During the 1-hour outdoor lesson, on an exclusive private villa terrace by the sea, you will start by picking your own lemons from the trees on the property, and then your demonstrator will guide you through the following steps. You’ll enjoy tasting your hand-made liquor and even taking a bottle home as a souvenir. Enjoy a visit to the bustling Rialto Market and then enjoy an exclusive tour of a Venetian making making workshop with a private guide. During this Naples food tour visit a local market and then enjoy a hands-on cooking lesson in an authentic Neapolitan home. Make your pizza and gelato making in this private hands-on workshop in Rome. At the end of your lesson you’ll have the chance to eat your creations. During this private gelato making lesson in Rome, kids will make alll the gelato they can eat in one of Rome’s oldest gelato parlours. Kids will love tasting the masterpieces they have just created! On this full-day Pompeii and Sorrento tour, sip limoncello before exploring the world-class archeological ruins in the company of an expert guide. The whole family will enjoy themselves during this private pizza making lesson in Rome. Knead dough, bake it, and eat your creations! Full day tour of Herculaneum, Oplontis, Stabaie, and Boscoreale in the company of a licensed tour guide and driver from Naples or the Amalfi Coast.